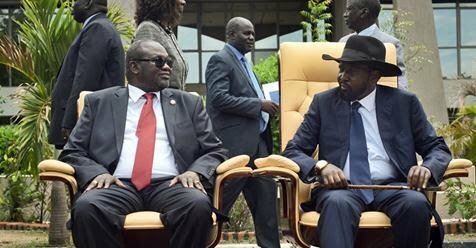 “The Central Bank of South Sudan was opened at night and $5 million was released for military operations against Riek Machar,” a line said by South Sudan’s presidential spokesperson Ateny Wek Ateny. Who authorised the bank to open at such a time? Who released “$5 million” for “military operations (the diplomatic term for a hunt) against […] Machar?” When did the government have time to discuss such a plan when conflict at J1 erupted, only hours earlier? Which members of our parliament gathered to agree that such an amount should be released on such short notice? What our spokesperson has done is simply implicated the entire government of our nation, at a time that the country’s leadership is already having their intentions questioned. He has opened the government to the speculation that Riek Machar was not brought to our capital in the name of peace but that he was lured, in the name of slaughter. He inadvertently confirms that we do not need the help of the international community to feed our children and mothers since our government is able to release millions at will from the Central Bank. He gives credibility to the many reports released by the international community accusing our government of corruption en masse. Ateny Wek Ateny has given evidence that our government is using the money for military purposes, and not their people who are fed and sheltered by the international community. It is not the first time that our presidential spokesperson has experienced a ‘slip of the tongue,’ tarnishing the reputation of the president and his nation. If I didn’t know any better, I would accuse him of being a member of our opposition himself. He consistently fails to protect the president from scrutiny, even when he has the best of intentions. I propose that he is simply unable to carry out his duties in a professional manner, at such a sensitive position – in such a sensitive time. This is not the first instance of him publicly coming out with reckless remarks, for example, I refer to an incident a few years ago. Ateny Wek Ateny should have been fired when he wrote an article that was published worldwide and falsely claimed it was written by the president and opposition leader, Machar. 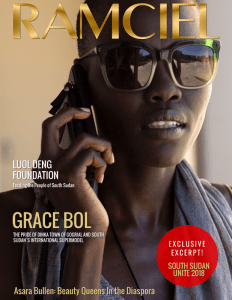 The article, found below, led to President Kiir losing the international community’s trust. It is indeed amazing that Ateny Wek Ateny maintains a belief that he is doing good, whilst he damages the reputation of the president and his administration without concern. I call for him to be removed from his position, effect of immediately. I urge him to publicly apologise for the many slip-ups over the years. His firing is the only way to rebute this, they simply cannot deny what has been said whilst the presidential spokesperson (a man of supposed credibility) remains a member of our nation’s government. I urge spokesperson Wek to keep his personal issues with Malong Awan separate from his duties in the office. Once again, and I reiterate, I strongly advise that Ateny Wek Ateny is fired and replaced with someone who does not jump at the opportunity of media coverage. Someone who does not get filled with such excitement to the point of blurting out the most fantastical story that comes to his young and innocent mind.